Intellectual property starts as an idea in someone’s mind, but eventually that idea may become your company’s most valuable asset. When it does, you’ll need an Oakland intellectual property attorney who fully understands U.S. intellectual property law. The Oakland law firm of Geonetta & Frucht, LLP, advises and represents businesses with concerns regarding their intellectual property. If you are involved in a legal dispute over intellectual property rights, we can act rapidly and decisively to protect your copyrights, trademarks, patents, and other forms of IP. If you require formal legal protection of your intellectual property, call an Oakland intellectual property lawyer at one of the top law firms Geonetta & Frucht immediately. Our intellectual property lawyers have more than fifty years of combined experience protecting intellectual property for businesses in Oakland and across the state. 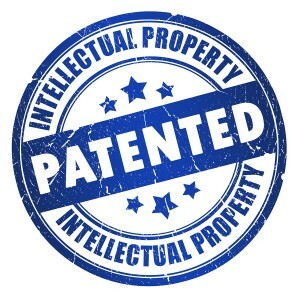 At Geonetta & Frucht, we know how to protect intellectual property, and we represent business owners who have been victimized by IP matters including violations of trade secrets, patent infringement for products or designs, misappropriations of intellectual property, and wrongful disclosure. We help you enforce trade secret and non-disclosure agreements, and we can often help clients recover damages when a competitor illegally or improperly comes into the possession of your intellectual property, including information about your clients. We help clients obtain the appropriate trademark, patent, and copyright protection for their intellectual property by reviewing all applications and paperwork for accuracy and by making sure appropriate fees are paid and deadlines are met. It doesn’t matter whether your business is small or large, intellectual property is vital to the success of all companies, so you must protect it from getting into the hands of your competition. The Oakland intellectual property lawyers at Geonetta & Frucht are more than willing to take on the most challenging intellectual property issues for the benefit of our clients. We’ve been doing it for decades. We also provide a wide range of legal services and solutions to clients involved in business disputes, unfair competition, and real estate litigation. Let us get to know you and your business better so that we can comprehensively meet your company’s legal needs and provide the best advice possible. To discuss any of your questions or concerns with an experienced Oakland intellectual property attorney, please contact the law firm of Geonetta & Frucht online via the form on this website or call our office today at (510) 254-3777. We currently have offices in Alameda County and the San Francisco Bay Area. Your initial consultation with us is free.